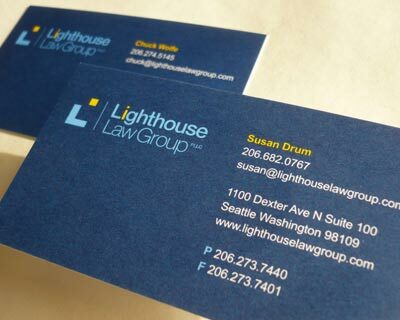 Design Hovie Studios has designed the new business cards for Lighthouse Law Group. Design Hovie Studios also created the brand identity for the firm. The cards were designed by Maxwell Churchill under the creative direction of Hovie Hawk.